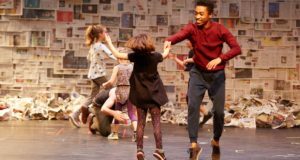 Director/choreographer Tony Adigun tells us more about the contemporary hip hop piece 'Fagin's Twist' before it embarks on a UK tour. 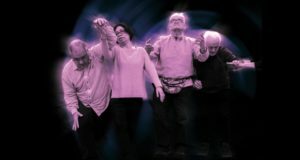 Cathartic show in which professional performers work with a group of people who have suffered a stroke. Dance artist Amy Bell tells us about her work, inspiration and the Place's upcoming Splayed! Festival. A clichéd portrayal of a Northern ‘bigoted homelander’ dealing with people from different cultural backgrounds. 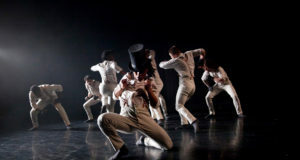 Worth seeing for the excellent and poignant music and dance. Reductive in its assessment of post-Brexit Britain, and complacent in the assumptions it makes about its audience. Great music and energetic dancing can’t redeem a misguided concept. Diverse styles of dance unite with a powerful message. 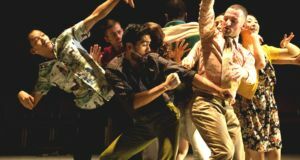 A unique, timely and unforgettable dance work that will make you laugh, cry and think. 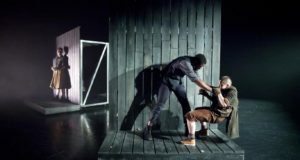 Shakespeare’s cross-dressing romp 'As You Like It' refracted through the lens of high quality contemporary dance theatre. The translation of a Victorian novel into the modern language of contemporary dance and computer-generated music.